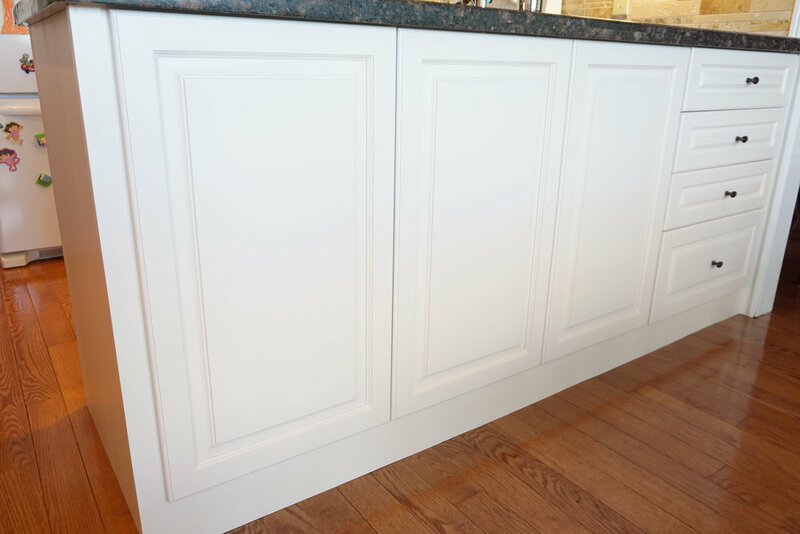 Kitchen Cabinet Refinishing & Painting Mount Albert | Harbor Painting Co. Tired of Your Old Dated Kitchen? Are you ready for a new look but can’t wrap your head around spending thousands or even tens of thousands of dollars to replace it? We have just the solution for you! 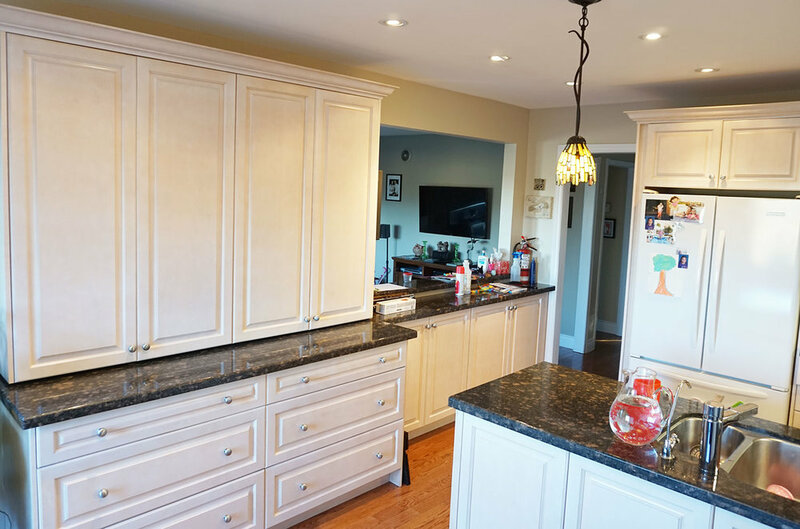 For just a fraction of the cost of a complete remodel, we will completely transform the look and feel of your kitchen and refinish your cabinets by just using paint. This means NO time consuming, expensive kitchen renovation, NO mess and most importantly you will NEVER lose the ability to use your kitchen while we do the work! 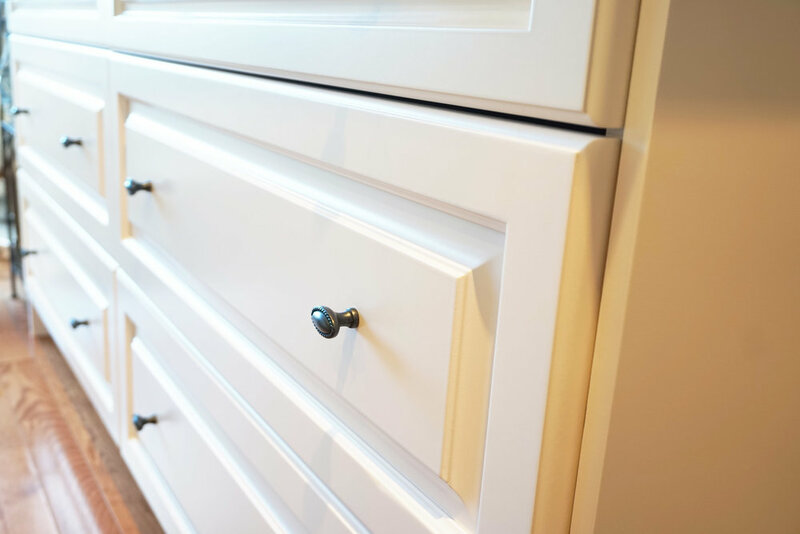 At Harbor Painting Co., we've mastered the fine-art craft of cabinet refacing and painting without the need for smelly, potentially ill effecting solvent-based products. Instead, our team uses environmentally friendly water-based lacquers which aren't harmful to you, your family or your pets. 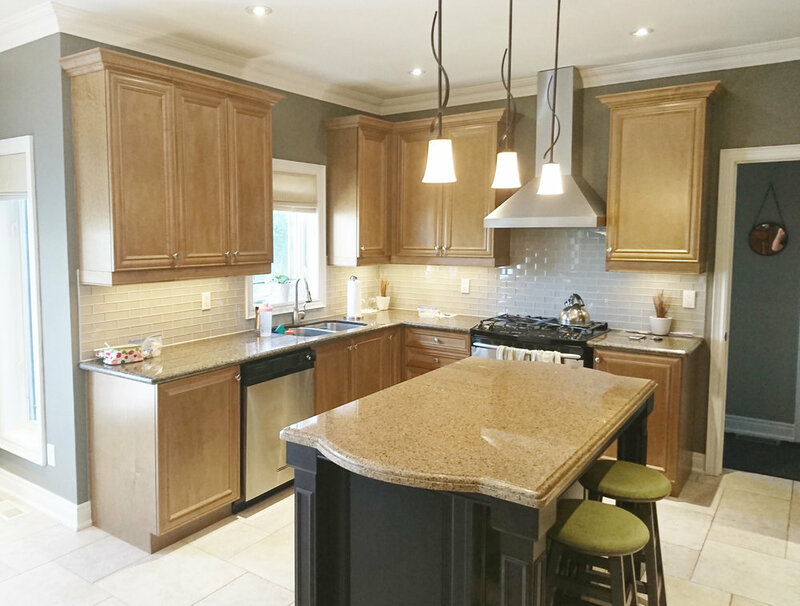 Rather than trying to tackle a project on your own, trust our team who are experts in refinishing kitchen cabinets and have years of experience serving clients in Mount Albert, Newmarket, East Gwillimbury, and surrounding areas of York Region. All too often we come across kitchens where either the previous or current homeowner thought they’d save a few dollars by hiring ‘John Doe Painter’ to paint their cabinets, resulting in catastrophic results. Sometimes the wrong product is used and the end result isn’t standing up to the daily wear and tear a kitchen goes through. 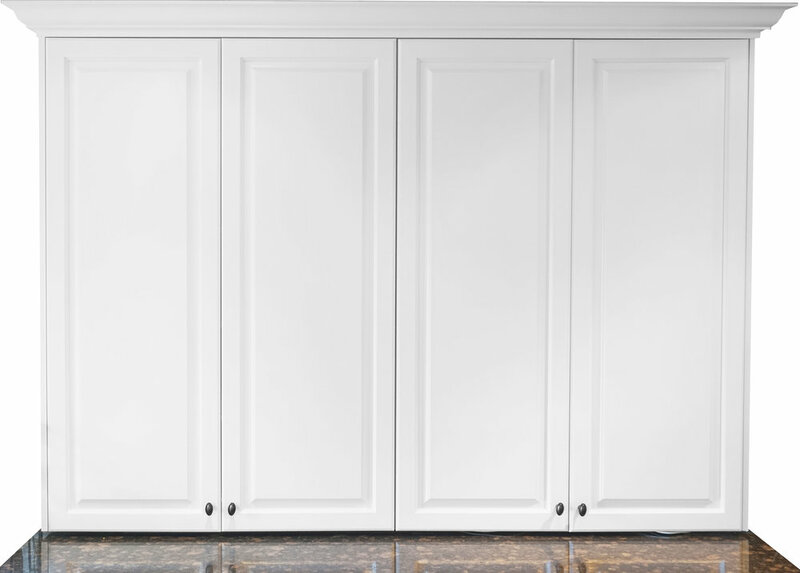 Other times, lack of knowledge and incorrect preparation of the materials can cause extensive peeling and chipping of the cabinet doors. This means the money you thought you were saving to reface your cabinets now has to be spent on hiring an experienced painter to do the job correctly. At Harbor Painting Co., we guarantee that the work we do to refinish and paint your kitchen cabinets will be done properly the first time. You’ll feel secure knowing we stand by our Done Right Warranty – a warranty on our work for as long as you live in your home. 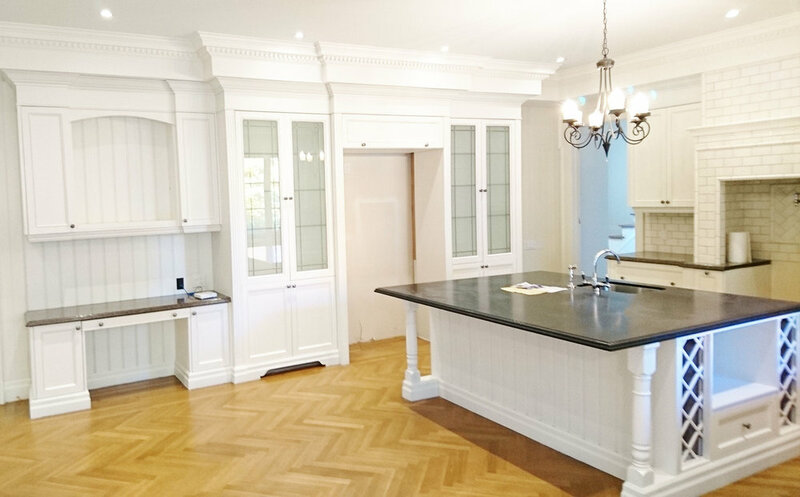 So, avoid the headache and hire HPC to paint and reface your kitchen cabinets - the professional team that knows exactly what they’re doing, right from the start. We serve clients in Mount Albert, East Gwillimbury, Newmarket, Aurora, and surrounding areas of York Region. To learn more and request a quote, contact us today. 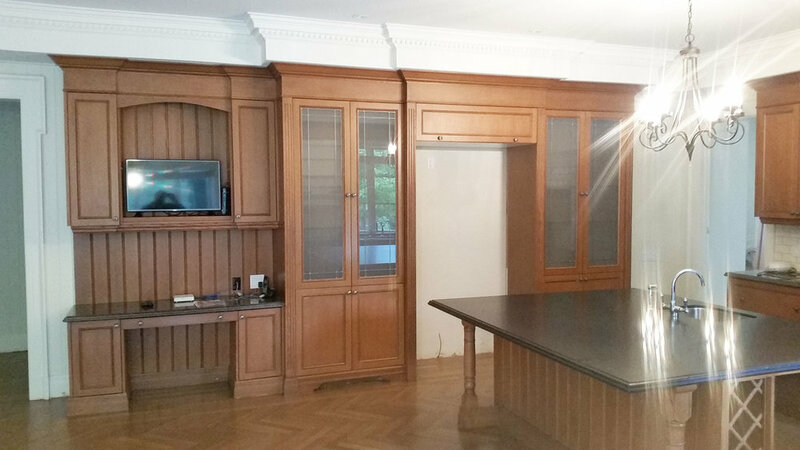 An exquisite kitchen cabinet refinish exceeding all expectation. From dim and worn to cheery, bright and modern at a fraction of the cost of a remodel with just a little paint. 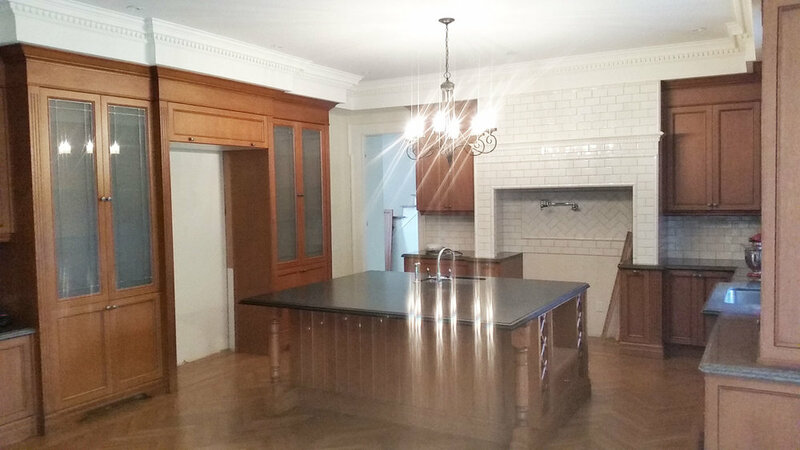 A beautiful cabinet refinish that elevated this kitchen's outdated heathered appearance to clean and contemporary. Ready to Make your Change?